The moment you think you're doing really well mentally and physically is often the moment when your expectations aren't met. 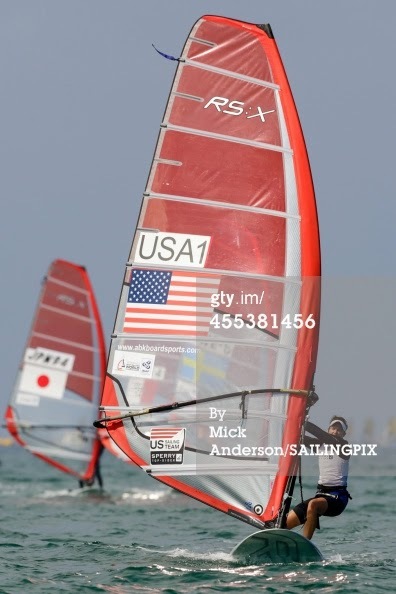 For me, the ISAF Worlds in Santander last month was a really tough event. The fleet was extremely competent and well prepared, and conditions were challenging with light, unpredictable wind or big offshore breeze and ocean swell. I was racing well, but not well enough to achieve the finish I wanted to. During the opening series, I finished consistently in the top half of the fleet but didn't pull off any top 10 finishes, one of which I would have needed to make the bottom of the Gold fleet in the final series. My silver fleet finish undermined my confidence a little with regard to the steps of my regatta preparation. Before the Worlds, I didn't get enough racing because I lacked the funding to go to the Rio Test Event. I had one great session of gear testing and a training camp of excellent quality in France. However, there wasn't enough race focus. It is hard to justify lacking preparation when I know what I need to do, but there is an added element of frustration when you know there isn't enough money to do it and you're not sure what income you have coming in, or if any will come in at all. I believe the best solution for me is complete acceptance of the financial situation and to develop a system to prepare alone or under inadequate circumstances. I have a few ideas for the winter so far, and all involve a systematic approach to the steps of racing and how training can translate to a direct regatta situation. The other side to this more scientific approach is mental. Finding creativity and freedom is difficult when many external factors cause pressure. However, with a little mental training one can step into the "zone" or the "flow" upon command. I found this to a certain extent during the Worlds, even though the racing and general environment was tough. However, where I really find it is doing freestyle windsurfing, and the feeling can be directly translated to the RS:X. The past few weeks I attended a few ABK clinics in Cape Hatteras, NC. Working on freestyle skills is a pleasure, and basic movements can be translated into more and more tricks once muscle memory becomes automatic. Things can happen so fast that one needs to have built in muscle memory in order to save a move without falling or incorporate blocks of basic elements into one new trick. The memories translate into mental flow, which can be sustained throughout a session. The very essence of this discipline is freedom and embodies the liberty of the surf culture, travel, new experiences, and human expression. This winter will challenge me to find freedom, flow, and thus improvements to racing. I am an expert in the scientific approach to sailing and the "grind." Now it's time to integrate the two in a personal preparation for the Miami Olympic Classes Regatta.